One of the major reasons why solar ranks amongst the hottest selling commodities today is because of its ability to save you bucks in your electricity bill. 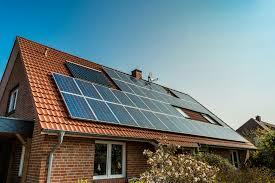 Consumers are lured by the huge savings that installing a solar power system could entail. A consumer can avail discount from his electricity bill by claiming a credit of power he sends back to the grid with the help of a net meter. Net meters are critical components in an on-grid solar power system. A customer will not be able to avail any credit without a net meter. But it is weird to know that one of the most modern cities in India is facing a shortage of such net meters. The urban city of Gurugram complains that it has not received an ample number of net meters to be installed at interested customers’ establishments. Solar power vendors claim they have not added a single consumer since September 2018 because of no net meters available. HAREDA officials, however, said that a fresh lot of 100 net meters was sent for Gurugram and Faridabad regions and another 200 net meters were expected soon. However, the suppliers think that the release is slow and not adequate. The city is strategically positioned to generate a sufficient amount of solar power. It is estimated that the city can produce 200 MW of solar energy given its location and number of sunny days it receives. Vendors confess having customers in hand but the situation is bad because of the unavailability of net meters. Few vendors’ funds are also blocked as customers have refused to pay for the installed solar panels without a net meter. The implementation of net metering policy in India has been shaky as the DISCOMs do not want to lose on the customers who pay them a high power tariff. This has become a huge challenge for solar vendors and interested customers. The net metering policy in India is facing many challenges currently. Lengthy clearance and approval processes being the major ones. Developers face long approval processes which can last anywhere between 3-6 months. However, few states like Karnataka are being pro-active and has announced that it will not require CEIG clearances for projects below 1 MW. Measures like this, which help to ease the approval process should go a long way in reducing system hurdles and helping easy installation.